Hitman HD TrilogyJan 29, 2013 (US)The Hitman Trilogy HD includes high-def versions of Hitman 2: Silent Assassin, Hitman: Contracts and Hitman: Blood Money. Experience more than 40 intense missions across 3 classic Hitman games, each re-mastered in glorious HD. Whether you're a lon..
Hitman: AbsolutionNov 20, 2012 (US)Wear the suit of the ultimate assassin, you have the ability to blend into plain sight, kill with your bare hands and fashion a weapon from almost anything. You are Agent 47, the world's deadliest assassin. 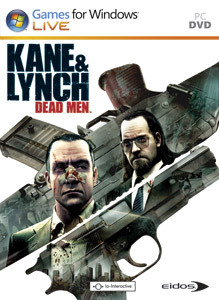 The fifth game in the multi-million s..
Kane & Lynch: Dead Men (PC)Nov 13, 2007A flawed mercenary and a medicated psychopath forced together on a violent and chaotic path seeking redemption and revenge. Kane & Lynch: Dead Men - Games for Windows..
Mini NinjasSep 8, 2009Prepare yourself for a Ninja adventure like you have never seen before! Join Hiro, the smallest hero on the biggest adventure, as he embarks on an epic and electrifying quest to restore harmony to a world on the brink of chaos. Use your skills and mi..